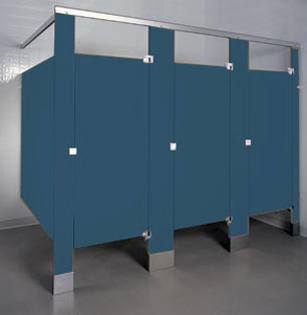 Powder coated steel partitions provide high-tech quality at an economical price. 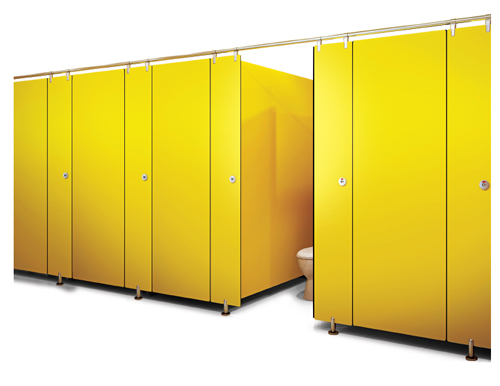 The powder coated finish is electrostatically applied over galvannealed steel, which protects against corrosion and provides a proper base for the finish. 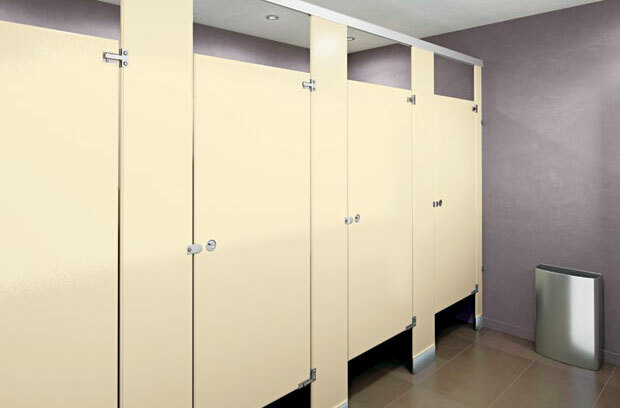 The finish is highly resistant to wear, fading, staining, scratching and scuffing. It is easily cleaned with mild soap and wiped dry. 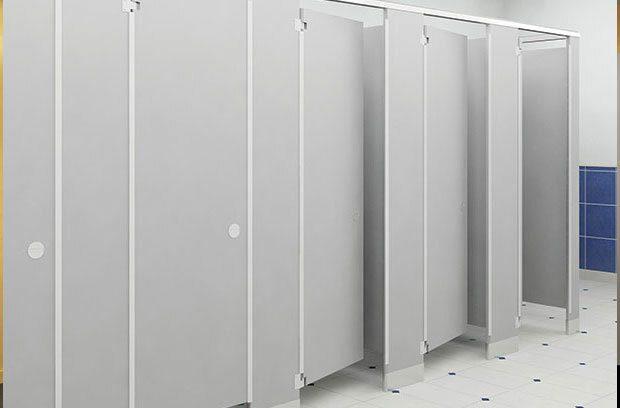 Phenolic partitions are the material of choice where durability and strength are required. These partitions are fabricated to stand the test of time. 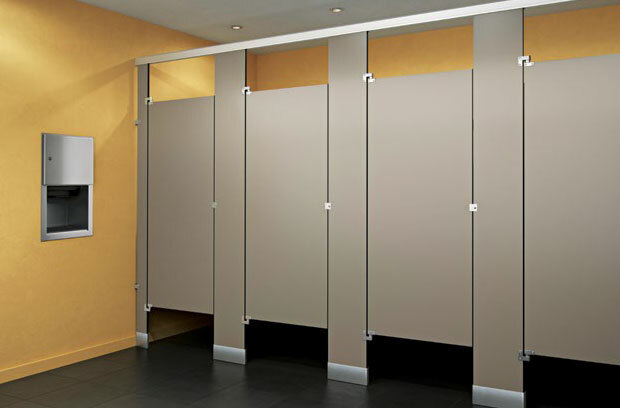 The dense components, combined with stainless steel brackets and fasteners, stand up to the most extreme conditions of moisture and humidity. 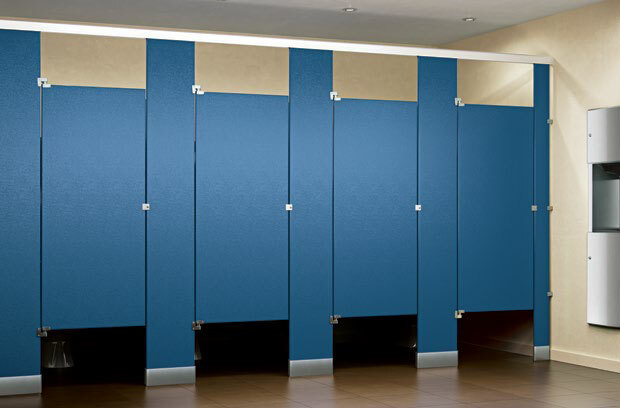 True to its name, Color -Thru is made with surface color through and through, to help resist damage; and even discourage vandalism and abuse. Along with phenolic strength, durability and low maintenance requirement, Color -Thru Phenolic is impact, scratch and graffiti resistant. It has excellent screw-holding power and all the advantages of traditional Phenolic performance. The finish of choice when aesthetics are essential. 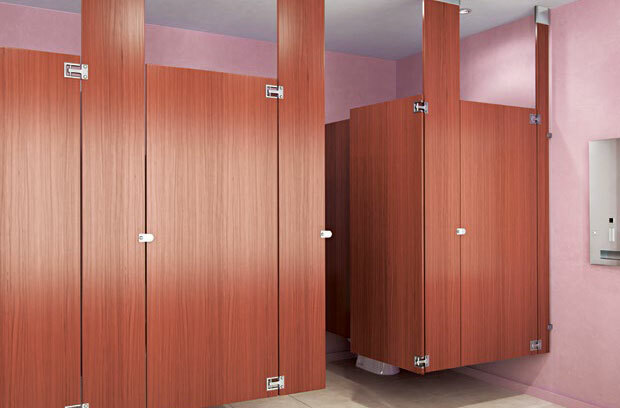 Plastic laminate is available in all four installation styles and a variety of designer colors to complement vanities and counter tops. 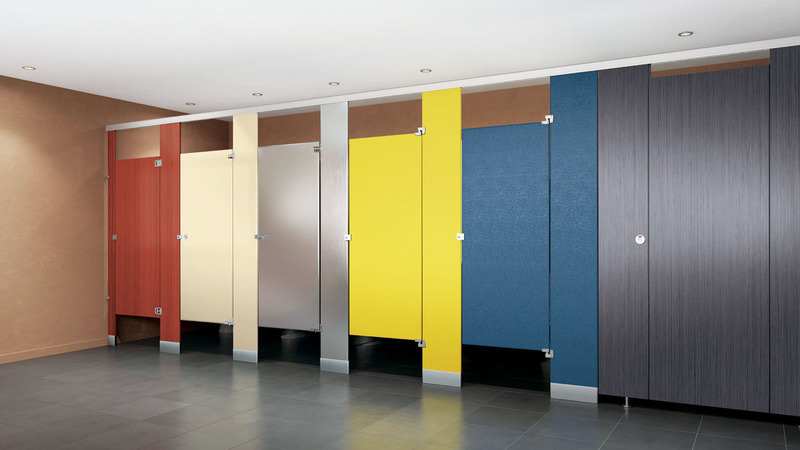 They are the finish of choice for commercial and institutional installations where aesthetics are essential. his visually appealing collection is ideal for the most aesthetically demanding applications. 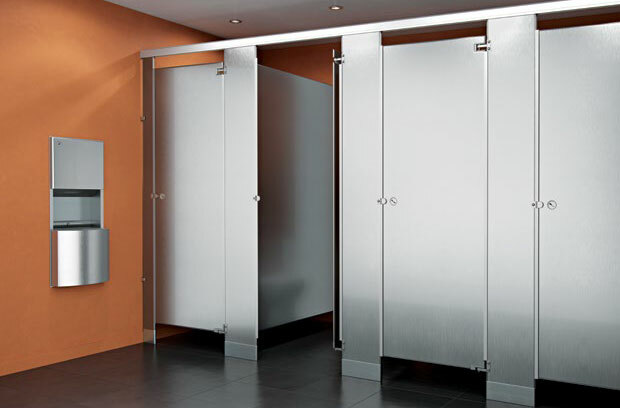 The signature stainless steel top rail provides structural stability and style, while the corners and door panels are perfectly rounded for a refined and elegant appearance.